The Lagos State Police Command yesterday paraded a 46-year-old teacher, who allegedly defiled a two-year-old girl. The suspect, Adegboyega Adelekan, a supervisor at Chrisland schools, was arrested following a complaint by the mother of the child at Ikeja Police Division. 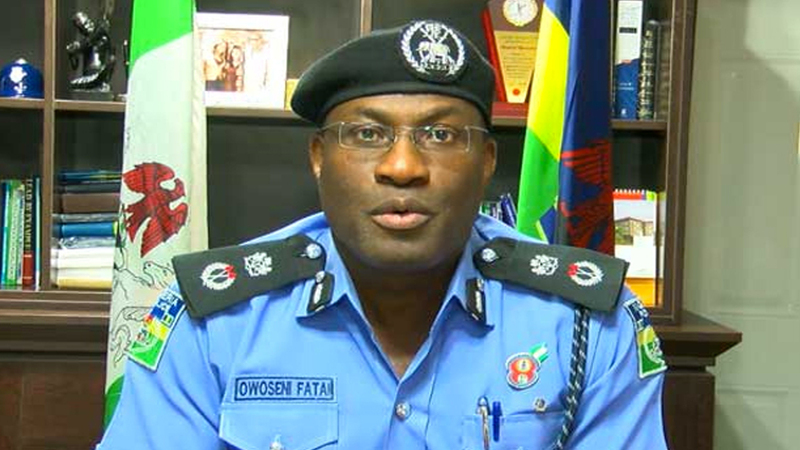 Lagos State Police boss, Fatai Owoseni, who paraded the suspect and several other suspected criminals at the command headquarters, GRA, Ikeja, Lagos, said they would be made to face the full wrath of the law. According to the mother of the victim, (names withheld): ‘One day, I took my daughter to the toilet and I undressed her. I saw that she was not the way she used to be. I asked her if anyone had touched her and she said yes. I asked her what happened and she said Mr.
Adegboyega normally puts his wee into her wee. I wanted to cover it up but I decided to report to her class teacher, who denied it on behalf of Adegboyega. 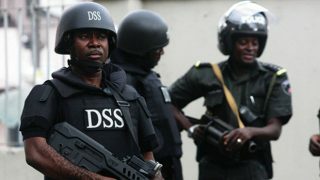 The suspect, Adegboyega, however, told newsmen that he is a pastor, who is not capable of engaging in the ‘evil’ act. 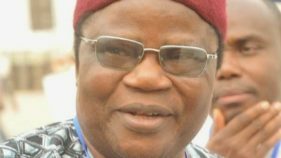 Owoseni, who spoke on other sundry criminal activities within the metropolis, noted that the command would not tolerate any act of lawlessness. ‘The command frowns at people taking laws into their hands. We are showcasing eight suspects for acts of impunity. “Information reached us that some criminal elements attacked a policeman, who was doing his lawful duty. The command wants to sound a warning that it would not tolerate any barbaric act against any citizen or a policeman. “The policeman and his team were doing their legitimate duty in that area. There was an accident in the area, they pounced on the police and maimed them. We have arrested those people, who engaged in the act. They are with us now and would be made to face the full wrath of the law. “Four suspected armed robbers were also arrested in the act of armed robbery. “Another case was recorded yesterday. Some people may report that it was kidnapping, but it was not. However, the management of Christland School has reacted to the allegation of assault against one of its teachers. The statement signed by the Director of Administration, Mrs. Anike Oye, reads: We wish to bring to the attention of the public what we were informed of the allegation of sexual assault of a two-year-old child by Mr. Adegboyega Adenekan at one of our schools at the Victoria Garden City (VGC), Lagos following the press briefing by the Lagos State Police Command, Ikeja, Lagos State. Chrisland Educational Organization is a responsible institution having a history of almost 40 years of unblemished records in providing qualitative education and we are at a loss as to the present allegation against a staff of the School, Mr. Adegboyega Adenekan. While the school does not hold the brief of the alleged abuser – Mr. Adegboyega Adenekan, who has been in police custody at the Ikeja Division since Thursday 24th November, 2016, we are compelled to state what we know and what we have done since becoming aware of the unfortunate allegation. The alleged sexual abuse of a child in the Victoria Garden City (VGC) branch of our schools, filtered to the management. The class teacher of the child, Mrs. Adejoke Erherhe, later informed the school management in answer to a query, that the mother of the child telephoned her on Thursday November 10, to inquire if anyone had touched her daughter’s private part to which she responded in the negative. The teacher also stated that the mother of the child came to the school at VGC the next day, with her child and met with her. The mother claimed that her daughter had been abused, but requested that the teacher should not tell anyone as she did not want her daughter stigmatized. The teacher could not keep the information to herself and therefore told her line supervisor, Mrs. Cecilia Layiwola on the same Friday. The line supervisor informed a senior supervisor, Mrs. Jumoke Bayo-Olupohunda on Saturday, the next day. It was the senior supervisor who informed the Head Teacher, Mrs. Angela Modebe on Saturday. On Monday, November 14, the Head Teacher invited the mother of the child for a discussion to enable her know what was said to have happened. The mother honoured the invitation. It was on the same Monday that the Head Teacher informed the School Management and a three-man team comprising the head of Human Resources, the Executive Assistant to the Managing Director and the head of Quality Assurance of the Nursery School all from the Head Office in Opebi visited the VGC School and met with the mother and the Head Teacher. At the meeting of Monday, the mother brought a copy of report from the Heritage Specialist Clinic dated November 11, addressed “To whom it may concern”, which said report concluded that “this baby has been abused”. It was agreed at that meeting that a second opinion be sought and Kids Care Pediatric Clinic located nearby and used by the VGC School for medical needs of students was agreed upon and the child was taken there for examination. A report dated November 14, addressed “To whom it may concern”, which appears to be “inconclusive on the subject” was issued. It was on Tuesday, the next day that the Managing Director of the school, having made extensive inquiry as to the best medical facilities for a proper examination of the child, telephoned the mother, with view of visiting her at home. 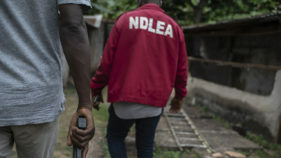 During the telephone discussion, it was suggested by the Managing Director that an appointment has been booked with Mirabel Clinics at GRA, Ikeja and a Forensic Centre at Ogba, Lagos for Friday, November 18, for the examination. On Thursday, November 17, the Managing Director received two phone calls, one from the mother and the other from the father of the child, who telephoned from the United Kingdom. Both of them objected to a further medical examination of their child at Mirabel Clinics or at the Forensic Centre. On Friday, November 18, the School directed that a Staff, Mr. Emem Obobo should make a report to the Nigeria Police at Ajah at Area “J” Command. The said staff was informed that at the Area Command of the Nigeria Police, oral reports are not accepted and that a letter should be written to the Area Commander for the matter to be handled. On Monday, November 21, a formal written report was made by the school to the police through the office of the Area Commander, Area “J” of the Nigeria Police, Ajiwe, Ajah, Lagos. It was while the School was waiting to hear from the Police at Ajah, that the school got a request from the Ikeja Division of Nigeria Police to produce the alleged abuser – Mr. Adegboyega Adenekan and the school promptly did so on Thursday, November 24, and that one Gloria from the Office of Public Defender who gave her telephone number as 08129460792 was present with the mother of the child on that day and every day since then, except on Sunday. On Monday, November 28, the police paid a visit to our VGC School in furtherance of the ongoing investigations and we have been made to understand that the mother of the child has been persuaded to take the child and has since taken the child for medical examination at the Mirabel Clinics. We remain committed to seeing the process through. We do not know why it took the mother over two weeks to notify the school of the matter, we feel concerned as the mother is literate and is said to be a media practitioner, she should know that the earlier the matter is handled, the better for everyone. “Thank you for the audience. As we discussed, my daughter must not be physiologically affected. You must remain friendly with her, she must not feel you changed to her as a result of her confiding in me cos I know she hold you on high esteem”. While we are disheartened by this matter, we once again wish to assure the general public that we as an Institution have no intention to cover-up any person in relation to the matter. The School Management and the Parents Teachers Association (PTA) who have already been informed of the matter are not adverse to meeting with relevant Government Agencies and Organisations even as we await the report of Police investigations. The School Management shall continue to do all in her power to ensure the safety and wellbeing of her pupils and students.